Here you are again, wandering on the Internet instead of committing to what you have to do. You are not focused. But I understand, because this is a very common problem. We have a huge amount of distractions just a few clicks away. And let’s be clear: I am the first victim of this revolutionary digital era. It is not hard to find me watching a weird video of cats afraid of cucumbers while a few minutes ago I was digging into Subclasses trying to find a solution for that very nasty bug. In general, it is quite easy to just get sucked away by distractions, and when, suddenly, the rationality comes back all at once, you realize that this is not the way you want to spend your time. Since I really can’t stand to waste mine so easily, I recently started looking for a solution to this problem and, that same Internet that gave me so many distractions, provided me with loads of food for thoughts. In particular I got interested in Time Boxing, which is a very well known technique that aims at getting you more focused on your job by defining specific span of times for every task you need to carry out during the day. 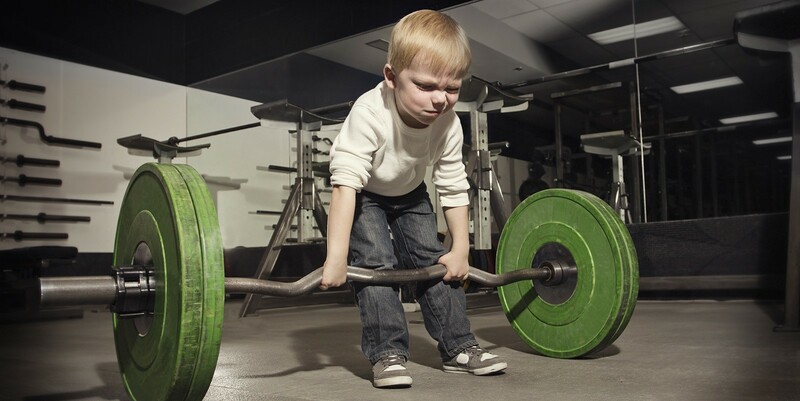 Say you have this nasty bug to fix: you commit to it something like 1–2 hours and you simply force yourself to putting in the time, regardless of how far you get. Then you rinse and repeat until the work is complete. The basic idea of putting deadlines for tasks is good but I dug deeper, and I found a very nice variation of this method which was also more appealing to me, given my Italian roots: the Pomodoro Technique. Pomodoro is the Italian word for tomato and it started as a kitchen tomato timer (hence the name). The idea is the following: you set a timer to 25 minutes. During that time you are forced to focus solely on your task. Then you are allowed to take a 5 minutes break; this is the moment where you can dive into all the distractions you forcefully repressed. Then you repeat. After the third round (or fourth, based on the variations) you can take a longer break of, say, 15–30 minutes, to do whatever you like. I found this method absolutely perfect for me and my way of working. It really helps in being way more productive and to generate higher quality work. Before using it, as I got to a difficult part, I would intentionally look for distractions. Now, instead, when I feel the urge to stop focusing to check my Facebook notifications I just take a look at the timer and realize that I am already half way through my time box and I will be able to take a break in less than 10 minutes. It works quite well because it allows me to squeeze out more work with just a bit of extra focus. On this very simple idea books have been written and its creator is even making a living by teaching this method to other people, which I find a bit over the top. There is also a good amount of people seriously pointing out all the situations where this technique cannot be applied to their specific cases and often very lively debates originate on the web: all those things that happen when you start taking something way too seriously, like what happens if you turn something into a religion. Like with everything else, my advice is simply to use a bit of rationality. For example, if I were to put on a project manager’s hat, I might argue that a 5-minutes break every 25 minutes and the longer break of, say 20 minutes, will lead to a huge amount of non-productive hours. From my personal point of view I can definitely reply that those 5 minutes of break are fundamental in the process of assimilating the problem, especially for those strictly related to the profession of a developer. Allowing your mind to move away from the thinking process for a few minutes could really be a game changer. Many times I spent something like a full afternoon thinking of how to solve a specific issue just to find the perfect solution out of nowhere on the train home when I was thinking about totally different things. I have read about people saying that this technique is terrible for them because they usually face days full of meetings and if they have one scheduled in the next 20 minutes, they are forced not to commit to the 25 minutes defined by the original recipe of the Pomodoro Technique, because once you start your timer, the (holy) book states that you cannot stop it. These is a very good example of what I mean when I mention the risks of taking something so seriously. The solution, again, is very simple: just use a bit of criticism. You can adapt the timer of each session to your personal preferences and needs. You have a meeting in 20 minutes? Just commit to those 20 minutes for once. Also, many developers are big fans of the Zoning Process. The “zone” is a mental state where some people start to loose their boundaries with the “external world” and they turn into problem-solving machines. It is a state that takes them something like 15 to 20 minutes just to get into. 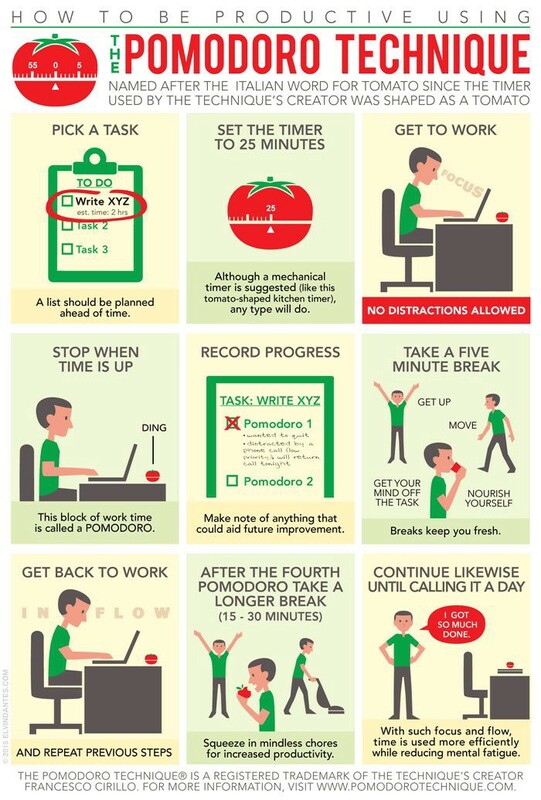 Of course if you are one of these guys, applying the Pomodoro Technique will just destroy your productivity. In this case I would just say: don’t use it at all! Or, if you are the kind of guy that starts being productive after some more time, just set your timer to something like 40–45 minutes. And maybe do a long break every two sessions. The purpose of my article is to share something that I found inspiring and that I am sure could help many other people out there that, for the characteristics of their jobs and for their personal attitude, could really take advantage by applying these simple advices. It is really a matter of preference and type of work you are about to carry out. So, if this time boxing-based idea inspired you somehow, I highly encourage you to give it a try: you might obtain a nice boost in your productivity, in the quality of your work and realize that in the end you have also earned more free time to spend on whatever you like. Originally published at www.elements.nl on August 29, 2016.